Did you know that you may be WASTING up to 50% of your study time by using inefficient prep tactics? I'd like to tell you about how you can use some serious brain hacks to help you learn FASTER. 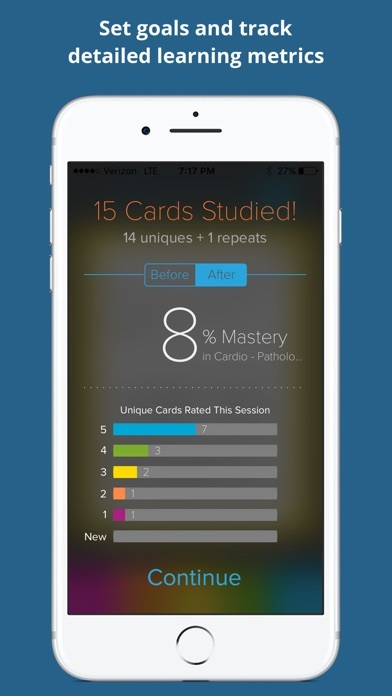 Brainscape + MDVersity's USMLE flashcard engine makes use of a groundbreaking new tactic in cognitive science called Confidence-Based Repetition (CBR). Its secret is the pattern in which it repeats concepts in the optimal pattern for your brain, based on your self-reported confidence on a 1-5 scale. CBR optimizes your study time so you can perpetually focus on the items you are least confident in, while helping you avoid wasting time on the concepts you know best. 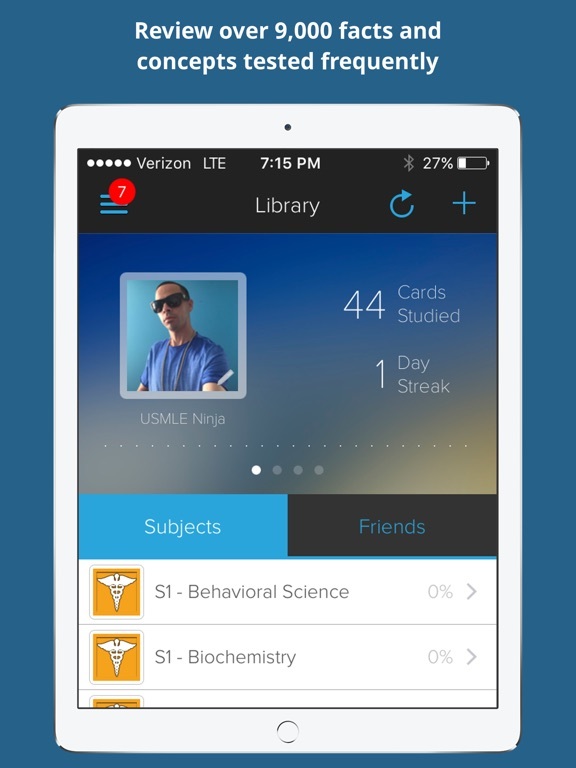 MILLIONS of top students around the world have used Brainscape's system to ace hundreds of exams including the USMLE. 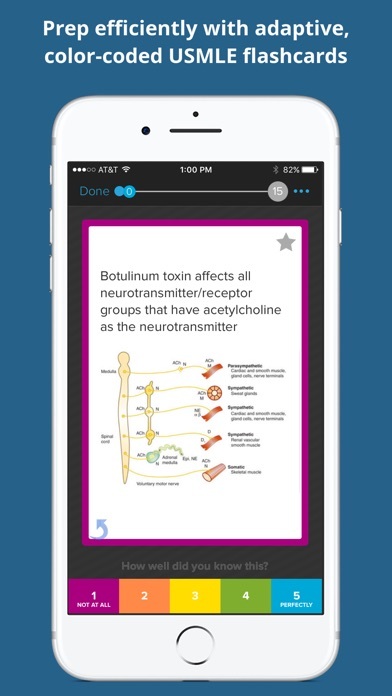 You can easily study these USMLE flashcards online or in Brainscape's iPhone or iPad app. It is the perfect way to sneak bite-sized study sessions into small breaks throughout your day. - HingikuB4: (*****) "Amazing . . . easiest app when trying to learn a lot in a short time. . . must have!" - Katherine Olsen: (*****) "Perfectly Simple. 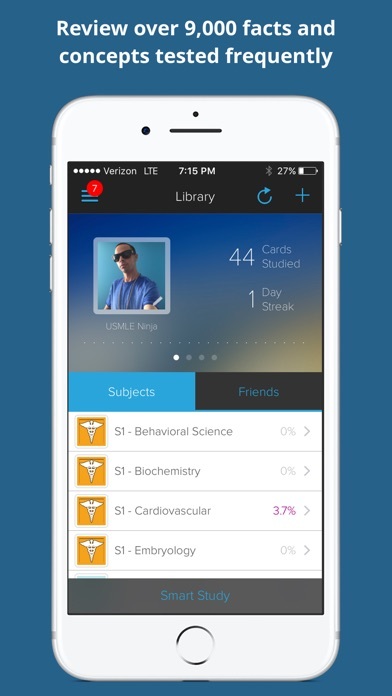 . . the PERFECT study app. . . "
- Doctor Mike: (*****) "I have no idea how I would have passed without Brainscape." So where did this massive collection of content come from? 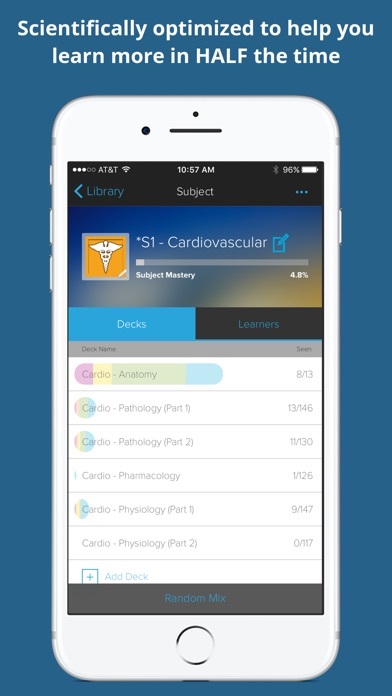 Brainscape's partner, MDVersity, has put together a network of top medical students to create over 10,000 flashcards for precisely the topics that they feel they most need to study. 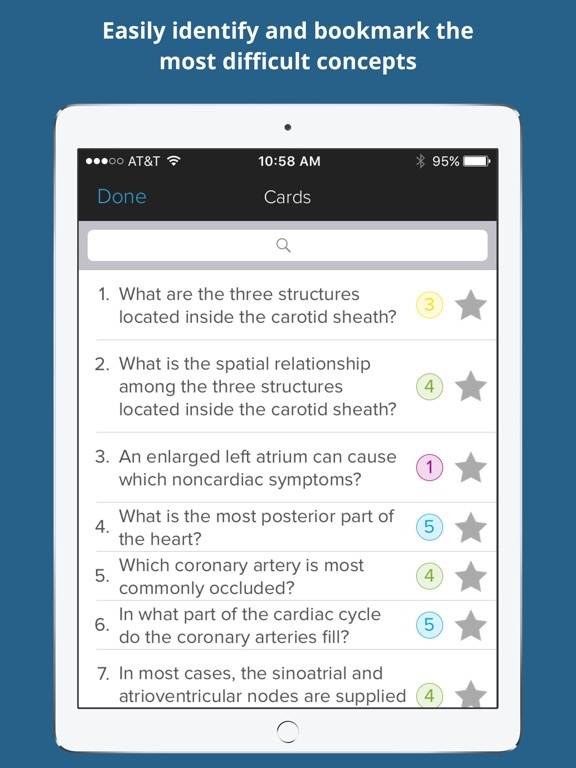 These flashcards were then validated, refined, categorized, and supplemented by high quality images -- using a "crowdsourced" effort by top medical professors, tutors, and former exam writers. 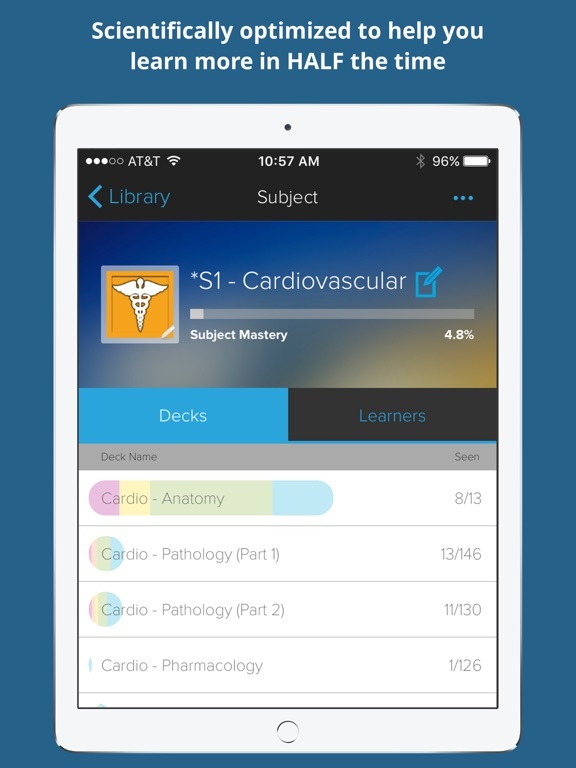 The result is the most COMPREHENSIVE, well-organized, convenient, and effective collection of USMLE Step 1 flashcards available anywhere. As a learning company ourselves, Brainscape encourages our users to continually submit feedback that will help refine the product going forward. 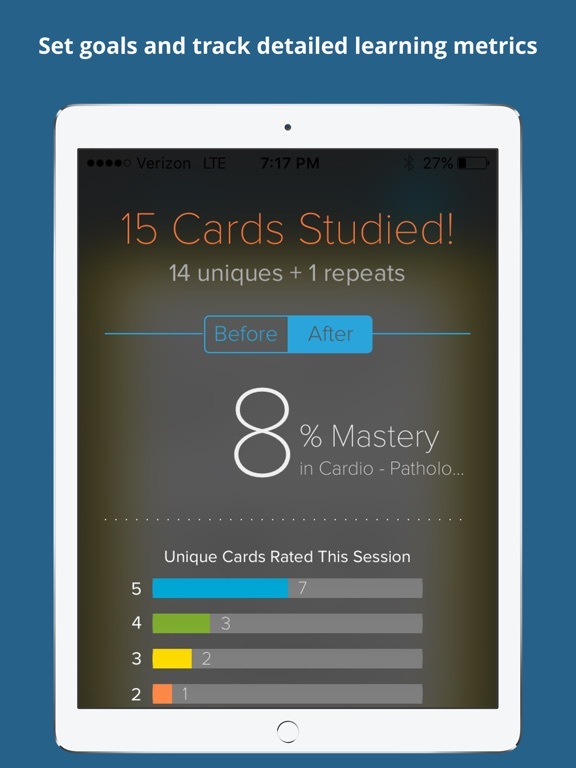 Flashcards are updated in "real time" so you are always using the best version of the product. 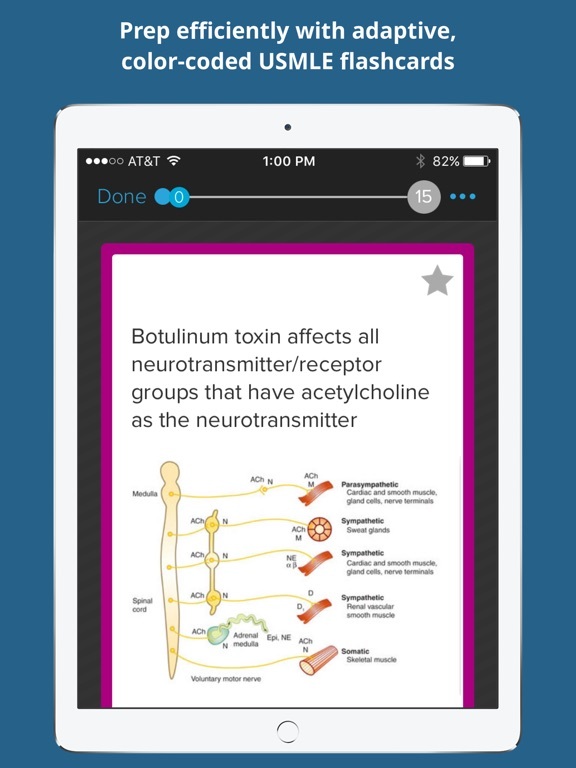 We are confident that this product will completely change the way you study for the USMLE exam. We wish you the best of luck, and we look forward to hearing how it goes!